Maurizio Sarri says Chelsea played like a completely different team from the first half during the last 35 minutes of their defeat at Wolves. Maurizio Sarri said his players had too much confidence after Chelsea surrendered a one-goal lead to lose 2-1 to Wolves at Molineux on Wednesday. Chelsea had looked in control after Ruben Loftus-Cheek’s deflected effort had given them an 18th-minute lead, but second-half goals from Raul Jimenez and Diogo Jota saw Wolves fight back for victory. 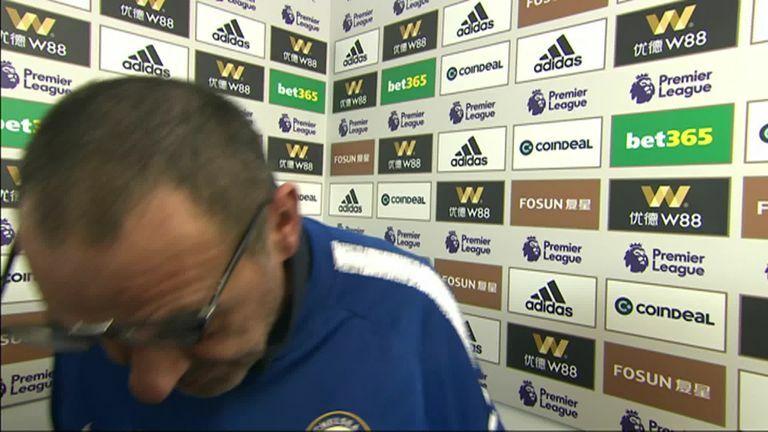 And Sarri was left scratching his head after the match, saying Chelsea played like a completely different during the last 35 minutes of their defeat at Wolves.